This is a piece about social media and our relationship with our phones. Written by someone who is addicted. Truth is, I haven’t been happy. According to my social media presence, I look like I’m all singing, all dancing, all the time. Over the last few months I’ve been feeling low. As in really low. To the point I was consumed with the fear that I was falling back into that endless cycle of depression I once experienced 4 years ago. For those that have followed me for a while, you would know that my positive pick-me-up habits which I’ve implemented into my daily routine is something I’m very proud of. But even this wasn’t helping me deal with the constant overwhelm. The cause? I had no idea. This video felt like I was sat in a therapy session, finally confessing why I was feeling the things that I was feeling. It inspired and motivated me to put down my phone and just…rest. I slept without disruption that night. When I woke, I realised that there was one thing I hadn’t done yet to help myself. And by that I mean a real one. With me, being… well, you know, me, I made it a mission to break-up with my phone. Slowly and gradually, of course. I’m a long-run type-of-gal so I knew that wanting to implement such a huge change in my life required time and mindful effort. Trying to cut something out straight away is never going to work. Sorta like cutting out junk food. I embarrassingly have rarely missed a day of posting on some sort of stories platform (back then it was Snapchat) since 2016. It is now what? 2019! That is a long time. And a hell lot of photos and videos. 2 weeks ago, I decided to cut my screen time. I put 30 minute restrictions on the apps I spend hours on, in this case, Twitter and Instagram. At the end of the week, I had already felt like I had a bit more headspace. This week, I took it further and decided that I would attempt to stop posting on my stories. I found this challenging because, sharing moments of my life had been a habit for years. But here I am, a week later, to my surprise – totally fine – and actually feeling better than ever before. Out of habit, wherever I was, I would pull out my phone ready to take a snap or to check my feeds for a dopamine hit. So you can imagine that the first few hours of this decision was difficult. I started experiencing this… itch. I feel like I’ve always had this itch, but I hadn’t been so aware of it. To be honest, knowing I had that itch made me feel a little disgusted with myself. I couldn’t believe that I was so attached to a device to the point I felt that I depended on it. I didn’t need to post a photo of my food, I didn’t need to check my feed after literally checking it 5 seconds ago yet here I was craving to do so. In Casey’s video, he talks about how annoying the habit of pulling his phone out of his pocket all the time is. That habit is called the itch. Over the week, the itch started fading eventually… To the point that I stopped picking up my phone so much during the day. Near the end of the week, I left my phone in my bag under my desk and just got on with my work. It felt freeing. This video by Matt D’Avella describes the itch well, I recommend that you give it a watch. Without the itch of wanting to snap every second, I literally just got on with my day. I stopped stressing myself out with attempting to multi-task and this helped sharpen my focus on one task at a time. I also feel like I’ve retained more of my learnings from the working week and produced better quality work. It has gone beyond work though, I’ve also found I’m much more focused during workouts when my head is actually thinking about the exercise. You know, the muscle-mind connection. I can’t achieve that if I’m thinking about what to post next on my stories. My walk to work had always seemed like a blur. I mean, I know I did it because a) I’m at work and b) my IG story says so. I became aware of how much I wasn’t aware of my surroundings because my head was glued to my phone. It was refreshing to actually be in the moment and notice a lot of things around me. Look up once in a while, folks! I’ve also tried my best not to have my phone with me in meetings at work but also over the dinner table. It’s made such a huge impact on my conversations with my loved ones who deserve my full attention, not a half-arsed one because I’m too busy scrolling my life away. I’ve written about burnout before. After one of the busiest years of my life, I made it my goal this year to chill out and relax. Even though I’ve tried my best to do this (even buying myself a Netflix subscription 😂), I’ve still felt those daily doses of overwhelm. What was I doing that was causing this? 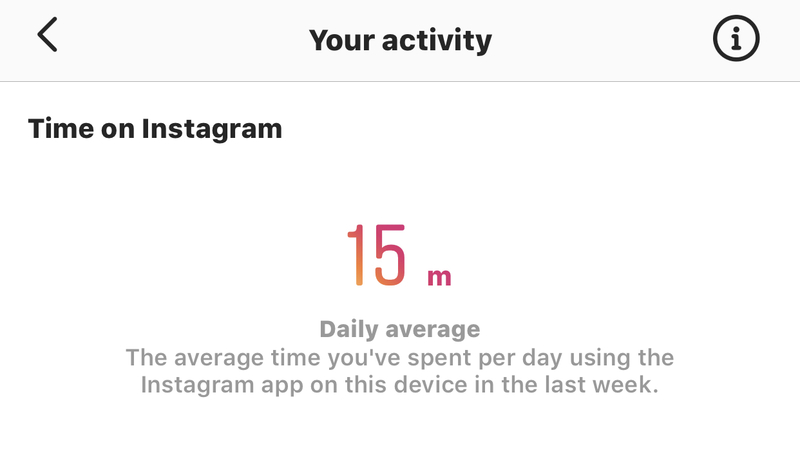 Apart from saying yes to everything (which btw… I’ve stopped doing), I was spending more than 6 hours a day aimlessly on social media feeds. The constant stream of information is too much. Personally, it made my head feel so full of crap. The best way to describe it is that horrible feeling when you’ve eaten too much junk food, are super bloated and literally feel like you’re going to explode. That, but for your brain. Just like how an overload of carbs and sugar can make you feel exhausted, the information overload from the constant stream just left me feeling drained. Limiting my time has helped with giving me the headspace that I need. Instead of checking my feeds as soon as I wake up and before I go to sleep, I’ve tried to re-introduce some mindfulness practise resulting in a better day and sleep i.e. steps to a better, more fulfilling life. There are so many studies that show that there is a direct link with social media consumption and feelings of depression and loneliness. Making this decision to cut back time I spend on my phone is freeing. With reduced time to urgently post things, compare my life with random people sharing highlight reels and trying to please others, I’ve had more time to truly direct my energy towards myself and re-gain my focus on what truly is important. For me, what is truly important is living my life in real life without a screen and an IG filter. This has led me to feel so much more happier. Okay, so it might sound like social media is the most terrible thing in the world and how dare they create apps that promote behaviours of addiction etc etc… but believe me when I say this, social media isn’t all that bad. I’ve said this before, but the power of social media is incredible. I have discovered opportunities from the online world which have been an absolute dream. What is bad? Overconsumption. To the point where it takes over your whole life, you ignore the rest of the world and become a true addict. Just like with junk food, eating too much of it can make you sick and cause health problems you don’t want in the long term. But having chocolate Nutella explosive doughnuts once in a while isn’t going to hurt you… I mean even kale-loving-me does it! The last 2 weeks has given me an insight on my social media/phone addiction. As someone who loves creating content and communicating what is important to me using the different social media platforms, it is tough to find a balance. I will not be deleting my social media accounts any time soon, but I want to continue this mindful behaviour of my consumption and itch. There is more to life than living it through a 16:9 shot of life. Well done for taking on the challenge to digital detox! Even if you feel like you have quite a way to go, every small step along the way is progress that will add up. It’s great that you’ve acknowledged the effect overconsumption is having on you and are taking active steps to prevent the burnout and negativity that it can cause. It’s really hard not to get sucked into the whole frenzy with social media, especially now that it’s an essential staple for communities, networking and business. It must be extremely challenging to strike a balance especially if building an online presence is at the core of what you do! I sometimes struggle with always being on my phone or tablet. I get bored and go poke around on stuff when I could put that time to better use. I usually feel cruddy later about it. Oh girl, this is a bomb! I like it that you share your thoughts and awakening, I’m glad that you are mindful of what’s affecting your health and willing to give up what’s causing it. I have a love hate relationship with Instagram, I love it because I find inspiration easily about things I want to do but I hate it too because it takes a lot of my time and requires too much work to build my following. But I learned to accept not that it’s not a big deal to become an Instagram superstar as long as my life quality is not messed up and still have a healthy relationship with the people around me. Thanks for sharing, I hope you continue what’s doing good to you. Thanks for sharing your experience with this Mercy. 💕 There is definitely more to life than becoming an Instagram superstar – focus on whatever works for you! Social media for me hasn’t been fun for years now. I took a break nearly 2 years ago and since am yet to fully return or immerse myself in Instagram. And I don’t even care anymore. Life has been less stressful for sure. Like you say, endlessly scrolling feeds with people constantly traveling was really depressing. FOMO was eating away at me and so was trying to keep up. The algorithm these days just makes it even harder to connect with people. Social media can be great. I’ve made so many new friends and get to connect to family overseas, but it’s that other darker side to it that can really be poisonous. Go you for taking control of your time! I’m glad that you’re happier now. i can so relate to this post!!! i was just recently telling my bf how i need to just take a break and detox for social media., the pressure of having to post on insta because you’ll lose followers, sometimes the nonsense people post on facebook. it can be so overwhelming at times. i definitely think the detox is needed at times!